Hello Dear Guest, My name is Lukas and it will be my pleasure to meet you and help you during your stay in Prague. The location of the apartment is convinient. Once you get to Wenceslas Square (10min metro drive), almost everything is nearby at walking distance. You are in the middle of it all. Few steps from hundreds of shops, restaurants, clubs, pubs, bars, cafes right around the corner. You will be: - 3 minutes walk from Namesti Republiky - 3 minutes walk from Palladium shopping center (where you will find everything that you possibly need ;-) - 5 minutes walk from Old Town Square - 5 minutes walk from Prague astronomical Clock "Orloj" - 5 minutes walk from Municipal House - 10 minutes walk from Josefov, Jewish Quarter - 10 minutes walk from Old Jewish Cemetery - 10 minutes walk from Franz Kafka Monument And much more... Parking is a bit complicated due to resident parking zones. Parking on the street is free from Friday 20:00 to Monday 08:00. 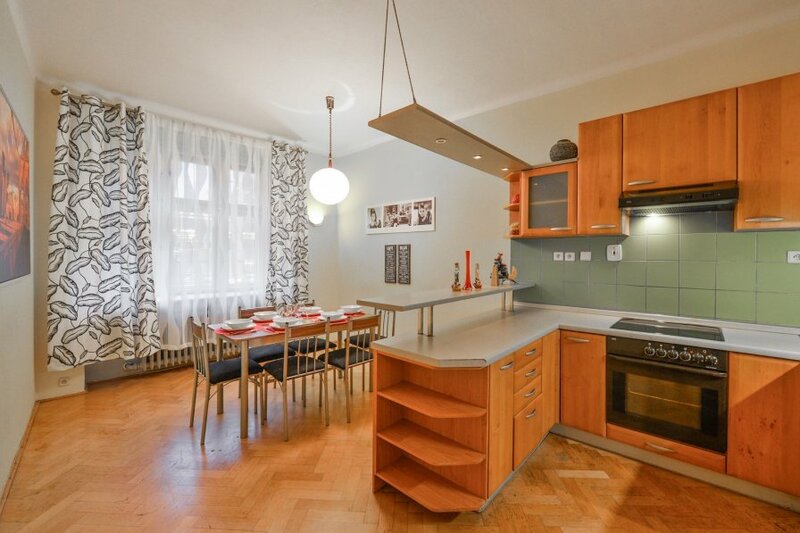 Possible paid parking close to the apartment - 1 day/250 CZK or 1 week/1000 CZK.